The Higashi Village Azalea Festival is one of the most popular annual flower events in Okinawa, drawing some 60,000 visitors each year. Higashi Village is located on the east coast of northern Okinawa, also known as Yanbaru. 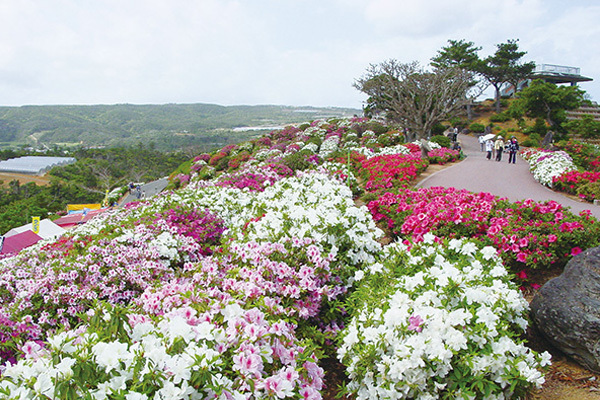 At the festival visitors can enjoy a relaxing walk among 50,000 azaleas in bloom in the tranquil, natural setting of northern Okinawa.